In addition to the nine National Planning Excellence Awards presented this year, the awards jury selected six Achievement Award recipients as examples of good planning work. The Achievement recipients are recognized collectively at the awards luncheon held during APA's National Planning Conference. People St is a program from the City of Los Angeles Department of Transportation that empowers communities to transform underused areas of city streets. Community partners can apply to create new plazas or parklets. The application process expedites project development and implementation. The Kit of Parts contains packaged, preapproved design elements to simplify the design review process; allow individual neighborhood customization; and hasten installation. Costs are shared between the city and an approved community partner. The streamlined process included open source documents so the program is easily replicable in other communities. The program solicits ideas from those who know the neighborhood best and transforms neighborhoods into places that balance the needs of all road users. 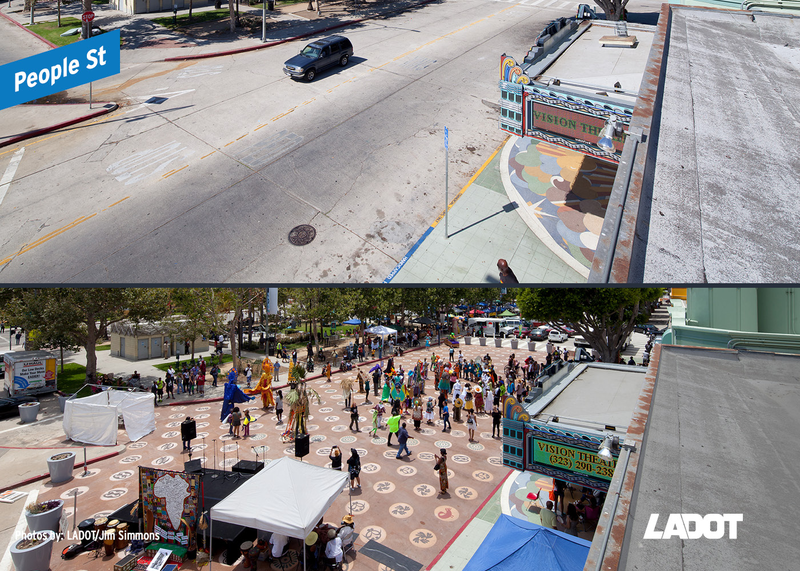 Leimert Park Village Plaza has been bustling with activity since installation, offering a legitimate venue for cultural activities already happening around the neighborhood. 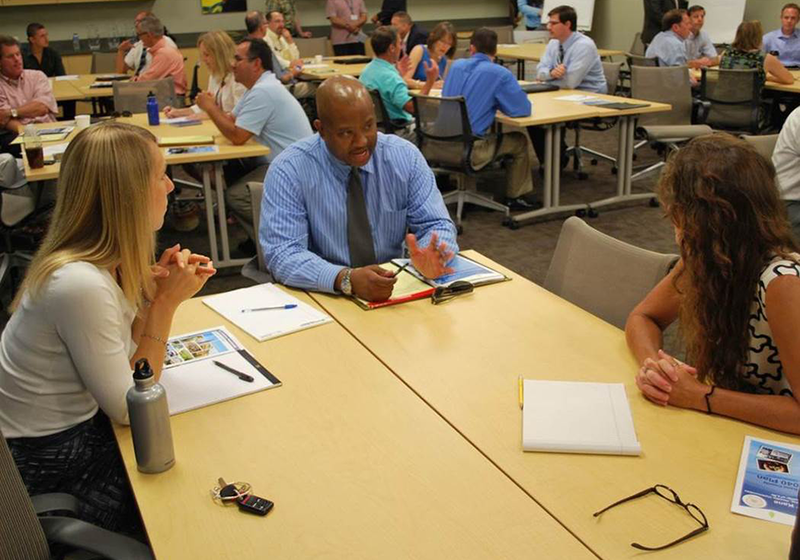 The Kane County Planning Cooperative (KCPC) is a permanent interdepartmental working group tasked with implementing the Kane County 2040 Plan, "Healthy People, Healthy Living, Healthy Communities." Launched in 2012, KCPC is working to fulfill the "health in all policies" approach to planning. The goal is to create the healthiest county in Illinois by 2030. KCPC includes planning practitioners representing health, transportation and development departments within the county. A monthly newsletter promotes various planning projects and shares best practices within county municipalities. According to the Robert Woods Johnson Foundation, Kane County now ranks the fifth healthiest county in Illinois, up from 12th in 2013. The kickoff meeting for the Kane County Planning Cooperative held at the Northern Illinois Food Bank headquarters in Geneva. The San Jose/Santa Clara Water Pollution Control Plant is the largest advanced wastewater treatment facility in the western U.S. It occupies 2,670 acres on the southern edge of the San Francisco Bay and serves over 1.4 million residents from eight cities. The Plant Master Plan provides a physical planning framework that leverages the site's most unique assets. It seeks to protect public health and the environment while creating an inspired vision for San Jose's South Bay shoreline. 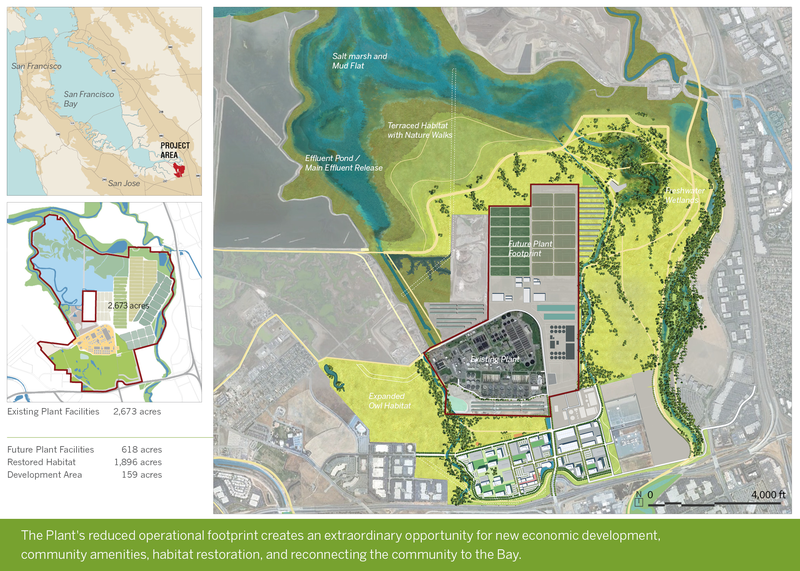 The plan has three goals: strengthen the region's economy; restore sensitive bay habitats and provide new opportunities for recreation and connection to the Bay; and protect against sea level rise. President Ali Bongo Ondimba's commissioned the Akanda Masterplan and SmartCode to protect the local environment while thoughtfully accommodating growth. 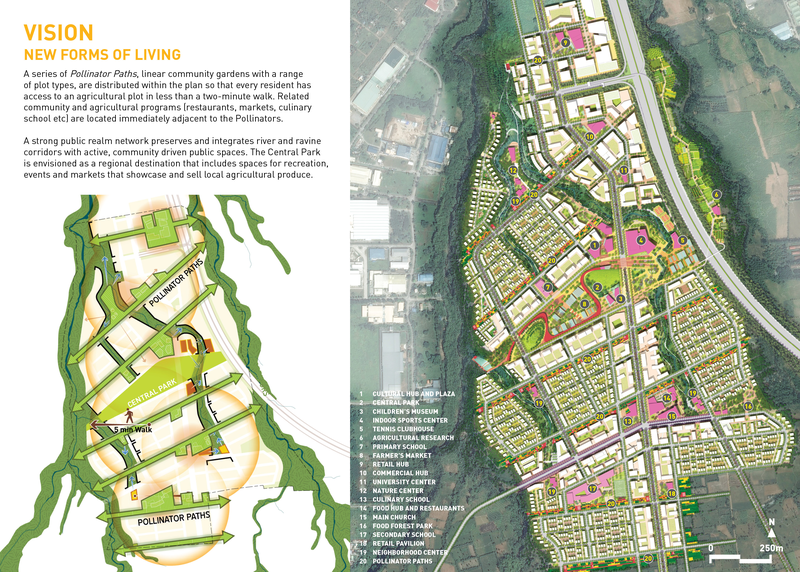 The Masterplan establishes a new set of green, walkable communities of varying scales that also showcase the Gabonese nature, culture and commerce. The SmartCode is the first of its kind for Gabon. The Sustainability Guide and Tropical Building Design Guidelines address topics such as building and block energy design, as well as ensuring buildings are responsive to local climate. The vision for the Masterplan was developed through an Enquiry By Design process that brought together an international team, the expertise of the L'Agence Nationale des Grands Travaux (ANGT), and diverse array of local stakeholders including chiefs of local tribes, community members, and government officials. 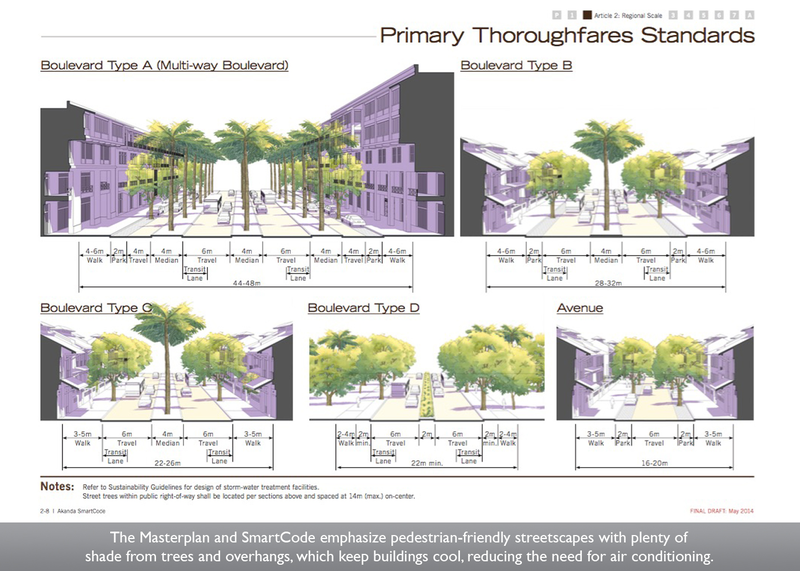 The Masterplan and SmartCode emphasize pedestrian-friendly streetscapes with plenty of shade from trees and overhands, which keep buildings cool, reducing the need for air conditioning. The Philippines is estimated to grow by 50 million people in the next 35 years, straining already congested and rapidly expanding metropolitan areas such as Manila. Ananas provides a development framework that transcends site boundaries to make a contribution to the region in social, environmental, and economic terms by reconfiguring traditional relationships between farmland and urban development. An emphasis is upon preservation and enhancement of the agricultural heritage of Silang. Pollinator Paths, linear community gardens with a range of plot types, are distributed within the plan so every resident has access to an agricultural plot in less than a two-minute walk. Quality of life enhancements include prioritizing walkability, biking and transit access, meaningful social interaction, access to community amenities, and the site's preserved natural resources. A series of Pollinator Paths, linear community gardens with a range of plot types, are distributed within the plan so that every resident has access to an agricultural plot in less than a two-minute walk. 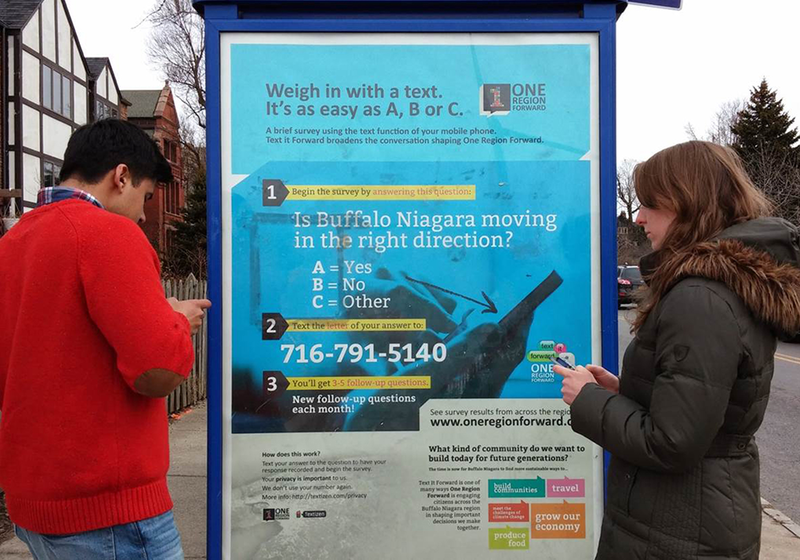 ​One Region Forward is the regional plan for Buffalo Niagara. Work on the plan began with a 2011 HUD Sustainable Communities regional planning grant. Input from 5,000 citizens and more than 700 organizations helped shape the plan. An extensive "grasstops" outreach campaign built a coalition from the public sector, businesses, community-based organizations, and concerned citizens to form a 'networked governance' model to drive the plan to action. The annual Citizens Planning School, hosted by the University of Buffalo School of Architecture and Planning, was created. More than 300 citizens and 25 "Champions for Change" have attended the school to learn how to implement the plan. Citizens offering their input through the "Text It Forward" text message based survey.